My research interests include long-term variations in solar activity; variations in the heliospheric environment and galactic cosmic rays; and the influence of the space environment on Earth's climate. 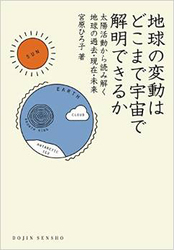 H. Miyahara, R. Kataoka, T. Mikami, M. Zaiki, J. Hirano, M. Yoshimura, Y. Aono, and K. Iwahashi, Solar Rotational Cycle in Lightning Activity in Japan during the 18–19th Centuries, ANGEO Communicates, 36, 633-640, 2018. H. Miyahara, C. Higuchi, T. Terasawa, R. Kataoka, M. Sato, Y. Takahashi, Solar 27-day rotational period detected in a wide-area lightning activity in Japan, ANGEO Communicates, 35, 583-588, 2017. W. Sakashita, H. Miyahara, Y. Yokoyama, T. Aze, T. Nakatsuka, Y. Hoshino, M. Ohyama, H. Yonenobu, K. Takemura, Hydroclimate reconstruction in central Japan over the past four centuries from tree-ring cellulose δ18O, Quaternary International, 455, 1-7, 2017. R. Kataoka, H. Miyahara, F. Steinhilber, Anomalous 10Be spikes during the Maunder Minimum: Possible evidence for extreme space weather in the heliosphere, Space Weather, 10, S11001, 2012. Steinhilber F., Abreu J., Beer J., Brunner I., Christl M., Fischer H., Heikkila U., Kubik P., Mann M., Miller, H., Miyahara H., McCracken K.G., Oerter H., Wilhelms F., 9,400 years of cosmic radiation and solar activity from ice cores and tree rings, Proc. Natl. Acad. Sci., 109, 5967-5971, 2012. P. K. Hong, H. Miyahara, Y. Yokoyama, Y. Takahashi, M. Sato, Implications for the low latitude cloud formations from solar activity and the Quasi-Biennial Oscillation, Journal of Atmospheric and Solar-Terrestrial Physics, 73, 587-591, 2011. Y. T. Yamaguchi, Y. Yokoyama, H. Miyahara, K. Sho and T. Nakatsuka, Synchronized Northern Hemisphere Climate Change and Solar Magnetic Cycles during the Maunder Minimum, Proc. Natl. Acad. Sci., 107(48), 20697-20702, 2010. 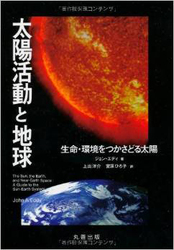 H. Miyahara, Y. Yokoyama, K. Masuda, Possible link between multi-decadal climate cycles and periodic reversals of solar magnetic field polarity, Earth Planet. Sci. Lett., 272, 290-295, 2008. H. Miyahara, G. Wen, R. Cahalan, A. Ohmura, Deriving Historical Total Solar Irradiance from Lunar Borehole Temperatures, Geophys. Res. Lett, 35, L02716, doi:10.1029/2007GL032171, 2008. H. Miyahara, K. Masuda, Y. Muraki, H. Kitagawa, T. Nakamura, Variation of solar cyclicity during the Spoerer Minimum, J. Geophys. Res., 111, A03103, 2006.